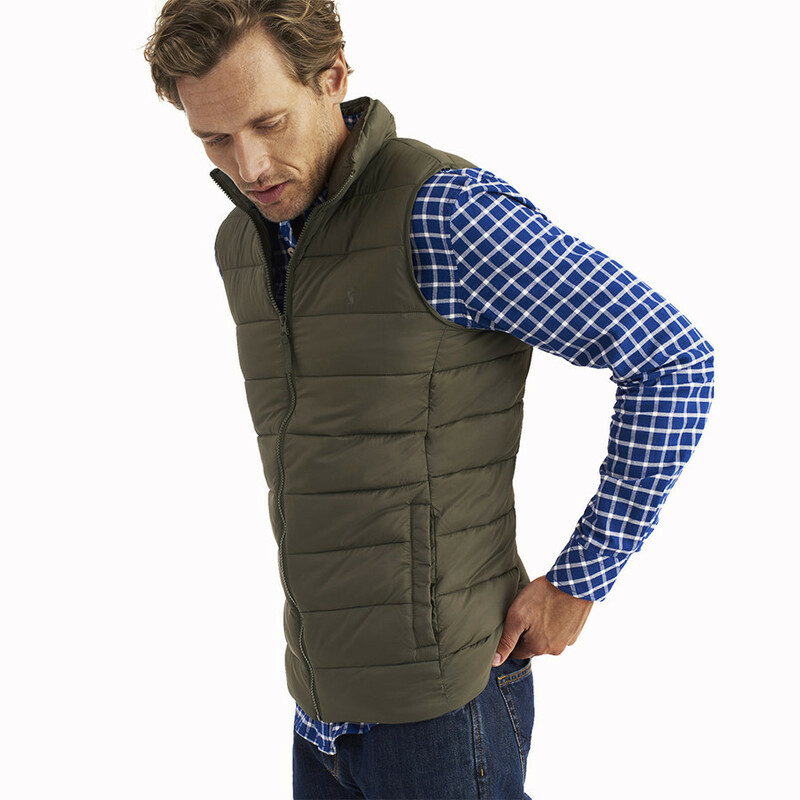 Sleeveless and quilted down jacket, ideal to stay warm while enjoying being outdoors. Lightweight padded vest, sleeveless, convenient for mid-season. The blue interior lining offers a beautiful contrast. 2 open pockets with snap buttons at the front.